In conjunction with Tufts University's Silk Lab's cutting-edge research on liquified silk, Jen Bervin wrote a poem composed in a six-character chain that corresponds to the DNA structure of silk; modeled on the way a silkworm applies filament to its cocoon. 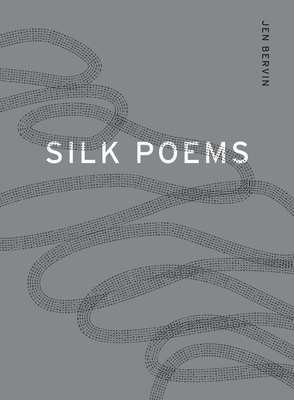 This poem, written from the perspective of the silkworm, explores the cultural, scientific, and linguistic complexities of silk written inside the body. JEN BERVIN is an interdisciplinary artist and poet whose research-driven works weave together art, writing, science, and life. She has published ten books, including Gorgeous Nothings: Emily Dickinson's Envelope Poems. The recipient of a Creative Capital grant, she lives in Guilford, CT.